With regards to law on recognizing a military person died of disaster while performing public duty and law on recognizing humidifier disinfectant damages, recommendations for improvement were issued to the concerned agencies. ACRC disclosed 1H 2017 Corruption Impact Assessment results. Recommendations for improvement were issued on 230 corruption-causing factors of bills drafted for enactment or amendment in the first half 2017. Among them were enhancing transparency in the procedure of recognizing death of persons in the military as disaster while serving public duty and recognizing humidifier disinfectant damages and providing supports to the victims. 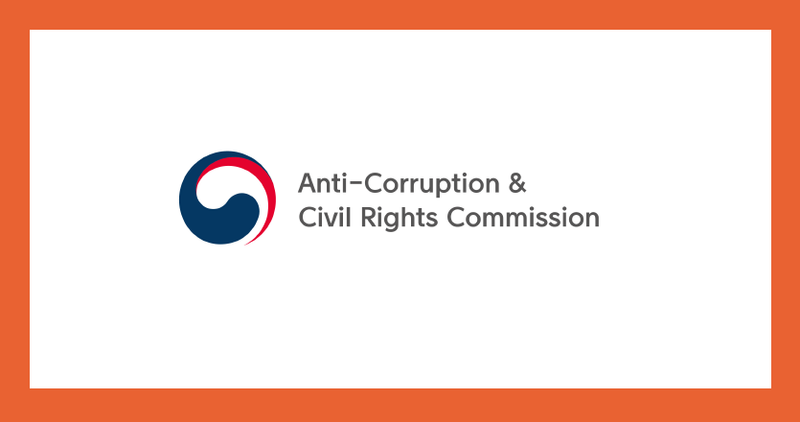 The Anti-Corruption and Civil Rights Commission (ACRC, Chairperson Pak Un Jung) announced on August 8th that among the 753 bills drafted for enactment or amendment in the first half of this year, it conducted Corruption Impact Assessment (CIA) on 740 such bills and issued recommendations for improvement on 230 corruption-causing factors to the concerned agencies. The CIA, carried out by the ACRC since 2006, is a part of legislation procedure that administrative agencies intended to enact or amend laws and regulations should undergo before Ministry of Legislation’s statutory review. The CIA, an anti-corruption tool, systematically analyzes and assesses corruption-causing factors in laws and regulations from the drafting phase, and issues a recommendation for improvement to the concerned agency to remove them. The 1H CIA focused on “rationality of burden of compliance” (57 recommendations issued, 24.8%) including with regards to stronger penalty surcharges against companies causing harm to public health and consumers, “transparency” (78 recommendations, 34.3%) such as concerning committees whose work affect people’s rights and duties, and “concreteness/objectiveness of discretionary regulations” (30 recommendations, 13%) including ambiguous standards for reduction of administrative fine. Assessment Criteria Recommendation No. Assessment Criteria Recommendation No. According to the current Forestry Culture and Recreation Act and its enforcement decree, subjects to which the Minister of the Korea Forest Service or the head of a local government may entrust the management or operation of a natural recreation forest include groups consisted of public officials working in the forest service for more than 15 years. This may lead to a preferential treatment in the procedure of entrustment of administrative affairs. So the ACRC, to remove the risk of preferential treatment to those subject to entrustment, recommended that “group consisted of five or more public officials working in forest service for 15 years or over” be deleted. The Ministry of Korea Forest Service accepted the recommendation and plans to start legislative process accordingly. The bill for enforcement in question states that a committee for humidifier disinfectant damages and a committee for operation of damages accounts should be created and operated to decide matters on granting recognition of humidifier disinfectant damages and on providing supports to victims of humidifier disinfectants. Due to the absence of an institutional tool excluding interested commissioners from participating in the commissions’ deliberation, however, fairness is unlikely to be guaranteed in deliberation or resolution of the commissions. So, the ACRC recommended that the bill include transparency tools such as for exclusion, avoidance and removal of commissioners to secure fairness in the procedure of providing supports to victims. The Ministry of Environment accepted the recommendation and completed legislation procedure. In the aftermath of the Volkswagen emissions scandal, automobile emissions regulations have been strengthened. Under such regulations, if an automaker that violated emissions standards cannot take corrective actions by changing car parts, it will have to change the concerned car or make a refund to the car owner. In addition, the car maker will have to compensate the car buyer for the additional expenses he spent in owing the car, such as insurance fees, within 10% of the price of the car. However, since the relevant law states only the maximum amount of the additional expenses not the specific amount, and since such provision is optional, carmakers may choose not to pay the expenses to car buyers. So, the ACRC recommended that the relevant law specify the amount of money that car makers should pay (i.e. X % of the price of the car) and make such provision mandatory. The Ministry of Environment accepted the recommendation and plans to start legislation procedure accordingly. Under the current Military Personnel Management Act, each armed force operates a general committee to examine matters on death or injury of persons in military service killed in action or while on duty. The Central Examination Committee of the Ministry of National Defense (MND) reviews cases filed against the general committee’s decision. On 81% of the cases requested for re-examination of the general committee’s decision for the past three years (‘14~’16), the Central Examination Committee made different decision from the original one, recognizing person in question as soldiers killed in action or died on duty. This indicates that there needs much improvement for the rights of those killed in action or while on duty and their families. So, the ACRC recommended the MND that each armed force expand participation of civil commissioner in its general committee for stronger fairness and better use of expertise in its examination. The MND accepted the recommendation and is now in the legislative procedure accordingly. ○ Ex post facto corruption management which focuses on detecting and punishing each corruption case has limits in preventing systematical and chronic corrupt practices. ○ Therefore, a preventive anti-corruption measure focusing on removing and improving corruption-causing factors in laws and regulations from their drafting stage is needed. The Commission may review corruption-causing factors in Acts, presidential decrees, and ordinances and may issue a recommendation to the concerned public organizations in order to remove them. The Commission may conduct the CIA according to its guidelines and notify the assessment results to the concerned organizations. ○ Central administrative agencies intended to enact or amend Acts under their jurisdiction, presidential decrees, or ordinances prepare assessment materials required for the CIA and request the ACRC to conduct the assessment. Matters on establishing an organization of office and administrative agency is not subject to the CIA since it is less likely to cause corruptions. ○ In receipt of application for the CIA, the ACRC should complete the assessment by the last day of the pre-announcement of the legislation concerned. Statistics of new and amendment bills received and handled. * The number of recommendations issued can be larger depending on the bills handled.